An Art Deco-esque stunner for your arm. 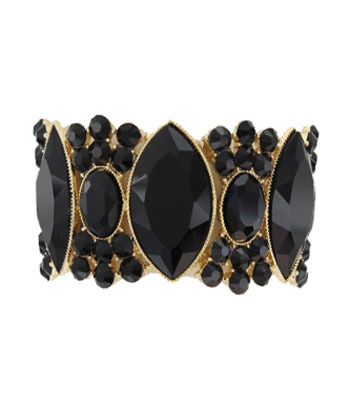 The Dominque bracelet features a glowing array of noir faceted rhinestones arranged on a cast-gold stretch base. Pair it with your favourite L.B.D. or clash it with your chic street-style. Buy now from Oz Bling, a popular and trusted online jewellery store.